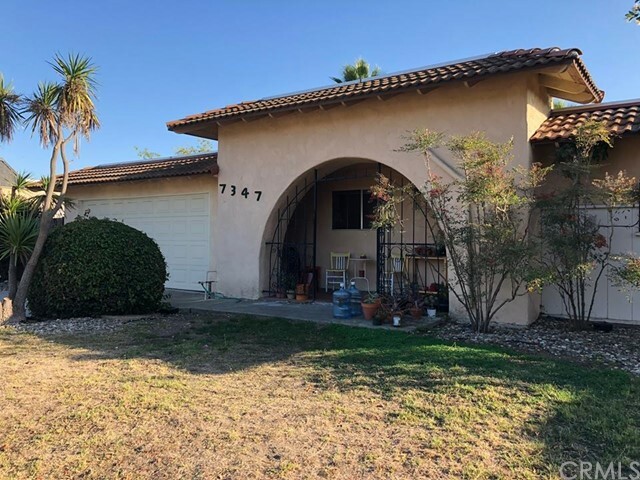 All Goleta homes currently listed for sale in Goleta as of 04/21/2019 are shown below. You can change the search criteria at any time by pressing the 'Change Search' button below. If you have any questions or you would like more information about any Goleta homes for sale or other Goleta real estate, please contact us and one of our knowledgeable Goleta REALTORS® would be pleased to assist you. "Villa della Costa overlooks Santa Barbara's Gaviota Coast and its vast panorama of spectacular untouched seaside landscape with breathtaking 360 degree views of the mountains, pastoral countryside, Pacific Ocean and Channel Islands. The estate was conceived to reflect a passion for privacy, quality and the ever-inspiring drama of this remarkable setting. Newly built and completed in 2014, by architect J.M. Sewall & Associates with interior finishes designed by Mark Weaver & Associates, the resul"
"Steeped in a romantic & serene provenance, Vistas del Refugio, set atop 21 pristine acres, encompasses the style, sophistication & rustic flare of a hilltop outpost with the drama of sweeping mountain, island & coastline views. Replete with multiple dwellings, the main home features a California style open floor plan, as wood floors dance across a blended living & dining room w/vaulted ceilings & walls of glass framed by breathtaking vistas. A bright & spacious chef's kitchen w/stone counter top"
"Wonderfull 81 acres secluded in Refugio Canyon. There are stunning ocean and island views. Surrounded on three sides by the old Tajiguas Ranch, and to the North by the Dos Vistas Ranch. It is at the head waters of the Tajiguas Creek. Home to an unbelievable assortment of wild life, just like a private wildlife preserve. The main residence is an authentic structural adobe. Sixteen inch walls, heavy 6x8 beams, Satillo tile floors, Duel pane pella windows, two wood stoves and a large fireplace. The"
"This is a large 4 bedroom, 2 bath home in Goleta miles away from the beach! The home features an expansive closed in backyard great for entertaining, an attached garage and so much more! This home has great FLIP potential! Current tenants pay $3,000/month. Call your REALTOR now to take a look! NOT VACANT! Please contact listing agents to schedule a viewing." "Situated on the top floor, this prime unit with full-length oversized balcony is centrally located in the beautiful La Goleta community. Recently updated, the renovated one bedroom, one bathroom unit is move-in ready, with dual vanity his and hers sinks, a spacious kitchen with granite counters and stainless steel appliances, and new plumbing fixtures throughout. Recessed lights with dimmer switches dot the smooth ceilings, along with ceiling fans meant to make you as comfortable as possible. Li"